If you were anywhere near the South or East coast then you experienced what some of us at CablesAndKits experienced… snow and lots of it! 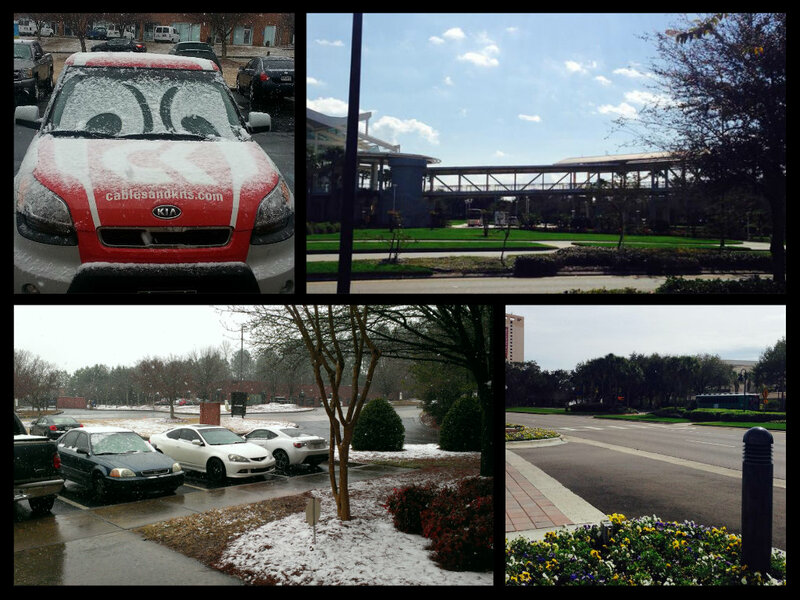 This is the tale of two CK’s… all those at the office felt Old Man Winter’s sting when it started snowing and icing on Tuesday, while a few of us were at a conference this week enjoying some awesome, sunny, 80 degree weather. You can see this reflected in the pictures above from when the snow started falling at the CK office and then a couple of pics I sent back to the office from the conference. (I am mean, I know. And yes, my life has been threatened.) We ended up with anywhere from 4 inches to 8 inches of snow. It is mostly gone now and everything is back to normal! It was that special day of the year where there was an abundance of chocolate, love, and flowers everywhere…Valentine’s Day! (Or for all of those singles out there… Singles Awareness Day.) 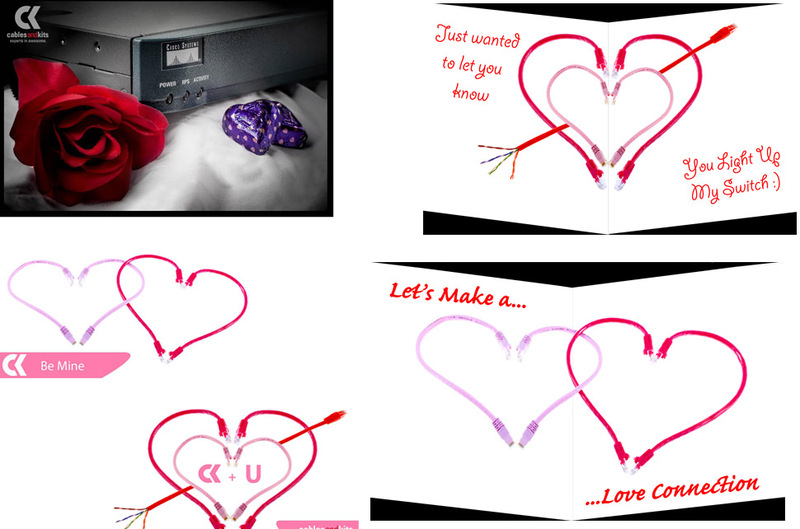 We decided to help “set the mood” in server rooms all across the world with a few of our own CK Valentine’s Day cards, which seemed to be a hit on our Facebook & Twitter pages.